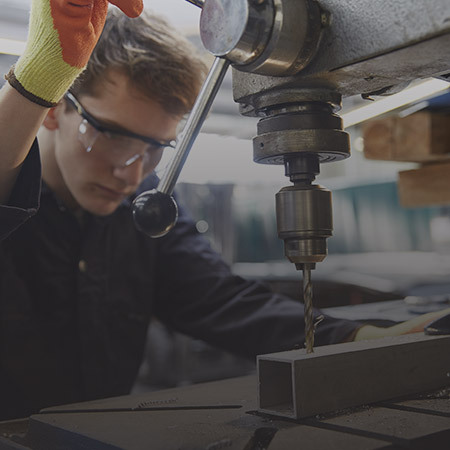 Noise is a reality that many manufacturing companies are confronted with while trying to maintain employee productivity and well-being, as well as complying with workplace Health and Safety requirements. MECART acoustic solutions are tailored to meet such needs. Equipment and manufacturing processes are often the source of noise in factories, and beyond 85 dB, can cause hearing loss. When exposure to loud noise cannot be reduced by simple technical modifications such as anti-vibration cushions, flexible hose connections or silencers, better noise control mechanisms must be considered. 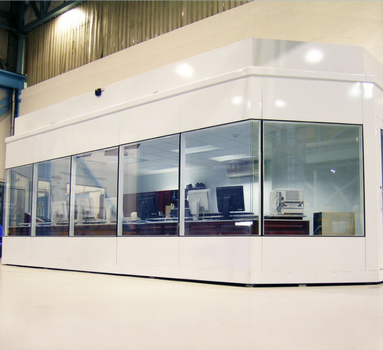 MECART offers several options for soundproofing machinery, processes or workstations. MECART solutions are adaptable and can offer an acoustic reduction of 10 to 70 dB, whether by adding absorbent material to factory walls and ceilings (acoustic panels), erecting soundproof screens between the noise source and staff (acoustic barriers), wrapping noisy equipment with soundproof enclosures (acoustic enclosures) or by isolating personnel in soundproof cabins (control rooms). 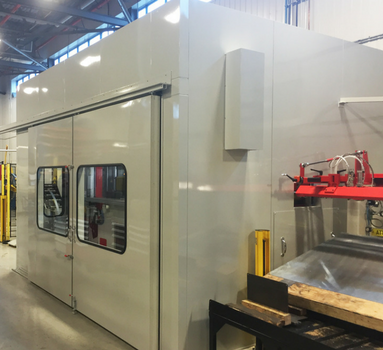 MECART works with several original equipment manufacturers (OEMs) to provide customized operator cabins or enclosures for their equipment. The MECART solution can be directly integrated into the equipment sold by the manufacturer or offered as an add-on when requested. In all cases, MECART ensures your equipment complies with Canadian, US and International standards regarding exposure to noise and various building codes. Collaboration with your team in the product development process (OEM). Enclosing is the process of isolating a piece of machinery or equipment with acoustic panels in order to reduce the noise produced when in operation. This form of insulation also protects equipment from dust and moisture. MECART control rooms provide supervisors with an overview of surrounding equipment. Control rooms can be equipped with bay windows in several configurations, while maintaining a superior acoustic performance. Our electrical rooms offer a controlled environment to protect your electrical equipment against water, dust or corrosion, while increasing staff safety. Our electrical rooms are designed and built with MECART acoustic panels, also ensuring noise absorption inside the enclosure. 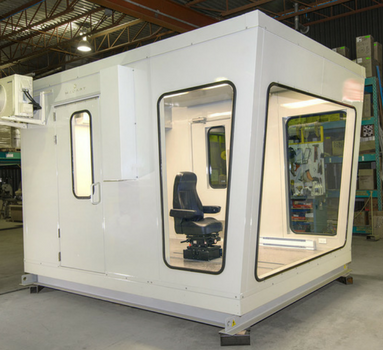 We design operator and supervisor cabins that can be installed on or near noisy and hazardous machinery. Our superior quality cabins can be sold directly to equipment manufacturers (OEM). On-site measurements and acoustic survey available on request. MECART can take care of the entire process: need assessment, pre-engineering, engineering and design, manufacturing, shipping, installation. Our modular panels can be dismantled in whole or in part to facilitate access and maintenance of equipment. 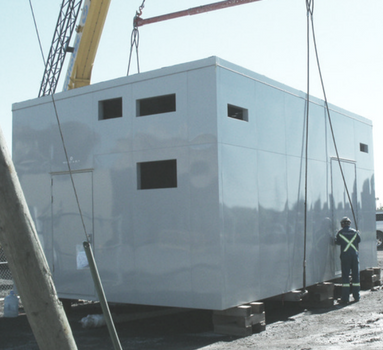 Modular panels of our buildings are delivered and assembled on site quickly, day, night or weekend, minimizing impact on your operations. Buildings can be delivered fully pre-assembled for even faster installation at your factory. We are so confident about our work we guarantee our products’ price, performance, and quality and delivery time.